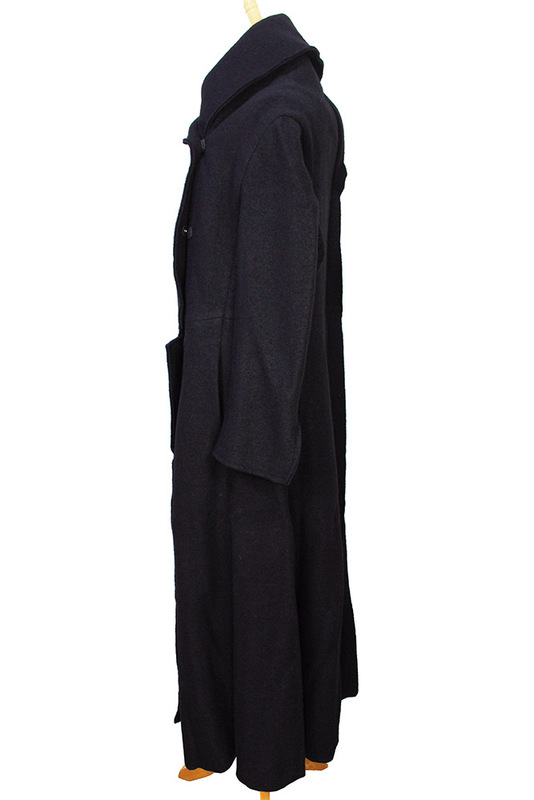 Ivan Grundahl 'Dahl' coat in textured, boiled wool. Shawl neck. Cross-over popper fastenings. Double layer detail around neck and down placket. Notch detail at front. 2 side pockets in the side seams. Double layered, flared fabric cuffs with vents and raw edging. Extended rear central seam, with raw edges and very long vent. Taped French seams inside and partially lined. 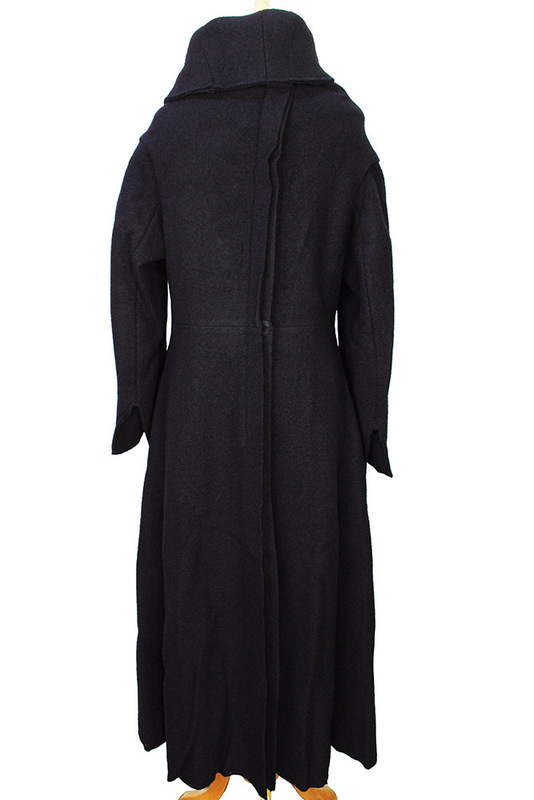 A stunning winter coat!